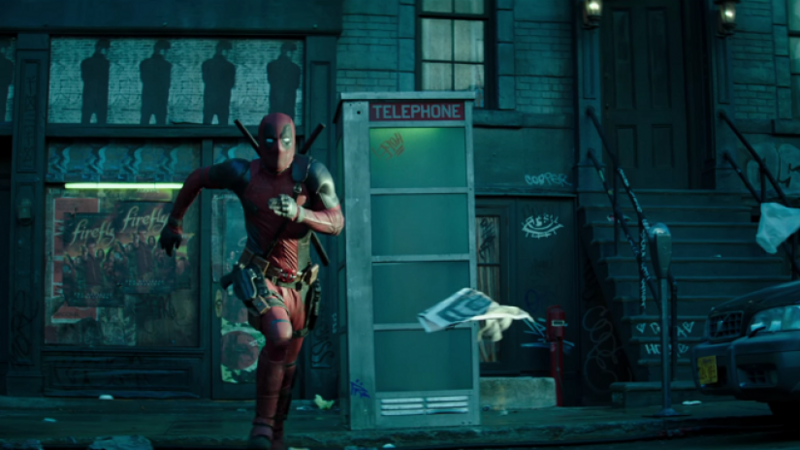 The first photos from the set of highly anticipated superhero sequel Deadpool 2 have been leaked online. Wade Wilson a.k.a. Deadpool loves a good party and he can be seen crashing one in the photos that gossip website Just Jared have shared. The pictures, taken at the Vancouver set yesterday, show actor Ryan Reynolds, wearing only the mask part of his suit, flying into a children’s birthday party I doubt he was invited to. I’m also sure that the party was lit, maybe even literally, after the antihero’s arrival. The Merc With A Mouth broke plenty of box office records in 2016 when Deadpool became an unexpected R-rated hit. The upcoming sequel will see Ryan Reynolds return in the title role, alongside new additions Josh Brolin as Cable and Zazie Beetz as Domino. Filming is currently underway and Reynolds has been sharing photos on his Instagram teasing fans with every single one. The sun sets on day 1. Feels good to be back. This dog can hunt. He even published a photo of himself suited up in red spandex outside the X-Mansion. We can’t wait to see Deadpool back in action. Deadpool 2 is set to be released in U.S. cinemas June 1. The U.K. release date is as of yet unconfirmed.